Home » Tamil » News » Mammootty to be a part of Rajinikanth’s Kaala? Mammootty to be a part of Rajinikanth’s Kaala? The two were last seen together in the 1991 release 'Thalapathi'. 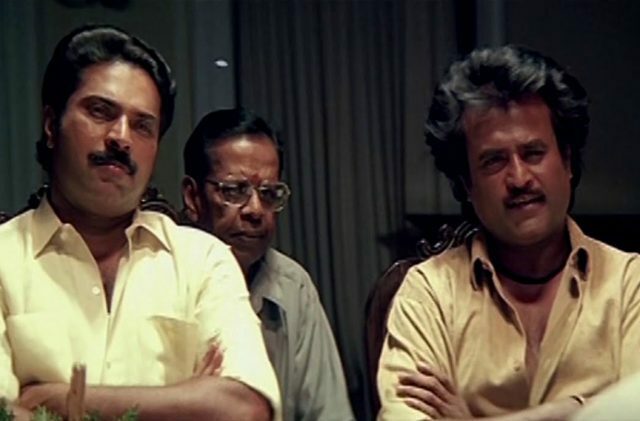 Rajinikanth and Mammootty were last seen together in 'Thalapathi'. As we all know, Rajinikanth’s upcoming film ‘Kaala’ has already become the talk of the town courtesy its gripping poster and Thallaiva’s new avatar. Moreover, it has also grabbed eyeballs as it marks the second time that the veteran actor is collaborating with Pa Ranjith in his illustrious career. The two previously joined hands for the 2016 release ‘Kabali’ which emerged a runaway hit at the ticket window. Now, it seems that the buzz surrounding ‘Kaala’ is all set to reach new heights. According to the latest rumours, Malayalam superstar Mammootty may be roped into essay a pivotal role in his crime drama. If this happens, it will mark Rajini’s first collaboration with Mollywood’s ‘Best Actor’ in over 25 years. The two were last seen together in the 1991 release ‘Thalapathi’. Directed by Mani Ratnam, it is regarded as one of the classics of Tamil cinema. Interestingly, Rajinikanth and Mammootty have always held each other in high regard. In fact, last month Mammooka revealed that he wanted to direct the ‘Chandramukhi’ star in ‘Bhoothakkannadi’, however, that never materialised. “Yes, it is true that I wanted to direct Rajinikanth in Bhoothakkannadi and I even narrated the story to him. But, the project never materialised. And I also didn’t want to pressure him into doing the film,” he had added. Well, we sincerely hope that these legends come together again and make a solid impact. On a related note, Rajinikanth is currently shooting for ‘Kaala’ in Mumbai. Besides him, it also features Huma Qureshi in the lead.